Below is basic information on bail bond laws for Louisiana concerning Bail Enforcement, Bounty Hunters, Fugitive Apprehension and Bail Bondsman. This is not legal advice. Laws change frequently, please check the links provided for possible updates and current information. 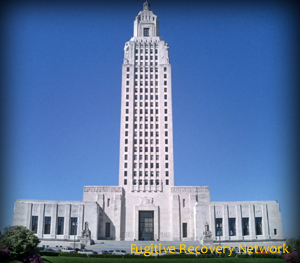 Louisiana Statutes Annotated Louisiana Code Of Criminal Procedure Title VIII. BAIL Arts. 344 – 345. * The continuing education requirements for renewal of license under LRS 22:1113(E)(4) are set forth in this Section. The continuing education requirement shall be fulfilled by satisfactory completion of the required hours of instruction in continuing education programs approved by the commissioner. Louisiana bail agent’s arrest authority. Please check with the Louisiana’s Department of Insurance, Licensing Board and/or Local Law Enforcement for the most recent updates. If you know of any updates to Louisiana’s bail bond laws, please provide as much detail as possible and send to us using our contact form.